Merry Christmas and Mazel Tov on spending quality time with your families! 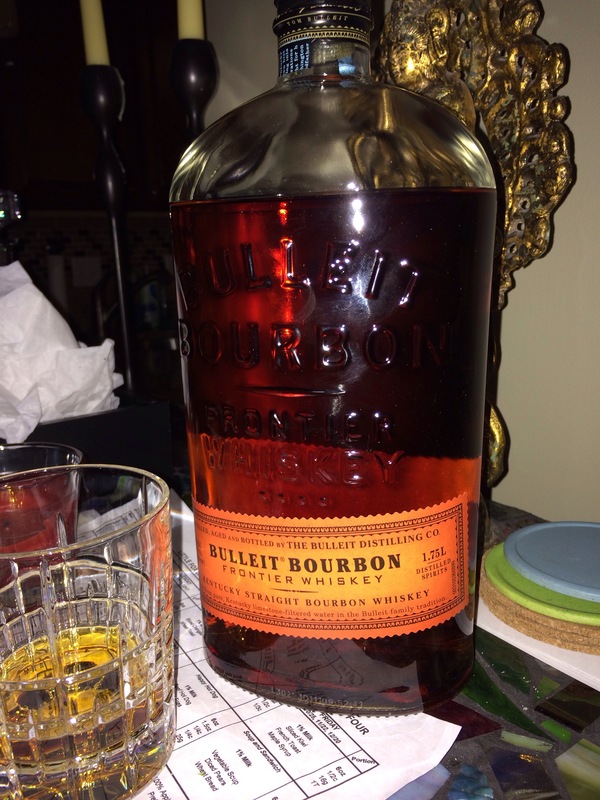 Yesterday we hosted an impromptu Christmas Eve complete with homemade hot cocoa and a Costco-sized Bulleit bourbon (thanks Mark Zar!) and I finally got to try out a new recipe that I’ve been meaning to make since our flop of a Thanksgiving. I had heard rave reviews about Costco’s 7 Superfoods salad in a bag concoction and let me tell you this rivals it tenfold! 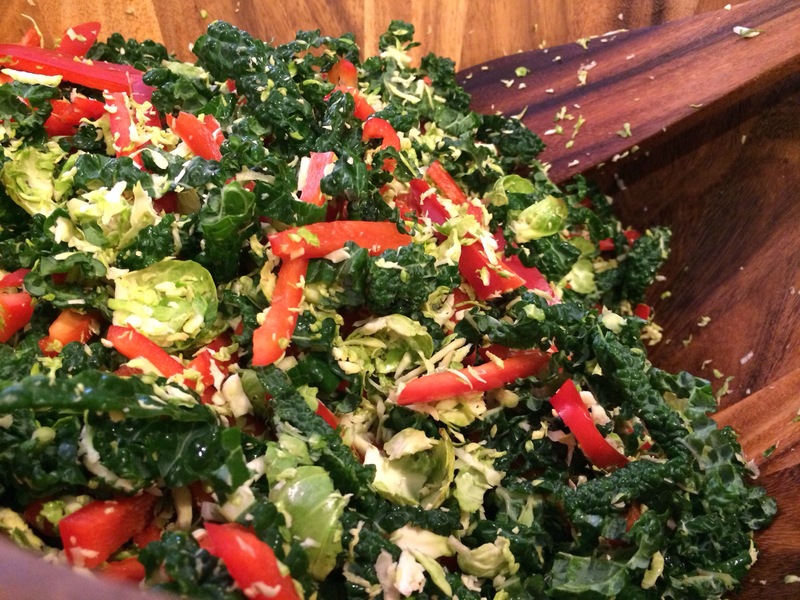 This raw kale and brussel sprout salad does best marinating in the dressing a few hours before serving. I also threw in some sliced red pepper for a festive theme and have thus dubbed it it’s aptly named title. Use a hand blender to purée the salad dressing. Toss all ingredients with dressing in a large bowl and let sit in refrigerator at least one hour before serving. I used a food processor with the grater attachment for the brussel sprouts.